With Spring in the air, photo opportunities abound. Whether it be the prom, a wedding, a new baby or just a family gathering, you want to look your best for any situation and part of that is your smile. Have you considered teeth whitening? One of the first things people notice about you is your smile. A brighter, whiter smile will make you feel better about yourself and sitting in on those photos. If chipped, stained, or crooked teeth are hiding the real you, it’s time for a smile makeover. A beautiful smile can enhance your life every day, both professionally and socially. What about cosmetic dentistry? Have you put it off thinking it was going to be a big ordeal?Unlike plastic surgery, cosmetic dentistry isn’t a major operation. Imagine coming in for a single appointment or two with Dr. Brogdon and emerging with the smile you’ve always dreamed of…with no pain, no strain, no time taken away from your busy life. The results are immediate and dramatic. Call us today for a consultation or just to schedule a whitening session. We want you to feel good about yourself and look good for all those occasions you want to smile about! What are your reasons to smile? Maybe you’ve just got married or found out you were going to be a parent. Did you get a new house or buy a new car? What about a new job? Maybe you aced that test or your team won the game. Whatever your reasons, you want your smile to look good to reflect the occasion. That’s why you should schedule your appointment to see Dr. Brogdon soon. 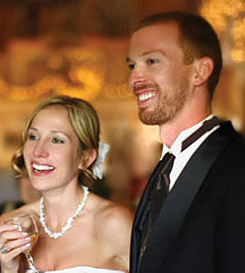 We can help you have the best smile possible for your happy occasion. Isn’t that a reason to smile? No matter what your age, your oral health is important. Even though regular dental exams and good oral hygiene can help prevent most dental diseases, every year over 100 million Americans don’t see a dentist. It is important to schedule regular dental appointments because they can help find oral health problems early on. By finding out the problems early, treatment can be simpler and more affordable. You have fillings, crowns, dental implants, dentures, etc. You have a spot or sore that doesn’t look or feel right in your mouth and it isn’t going away. Even if you don’t have any of these symptoms, you can still have oral health problems that only a dentist can diagnose. Regular dental visits can help prevent problems from developing. Don’t put off your dental visit. Call Brogdon Dental today at 423-870-5698 to set up your appointment. Call us today at 423-870-5698 to find out how you can sign up for our new Plan. If you are missing one or more teeth, you’ll want replacements that are as natural as possible. If dentures don’t work for you, you may consider dental implants. After the implant device is inserted into the jaw, a chemical and mechanical bond is formed. The jawbone actually grows into the implant! If you are interested in dental implants, it’s a good idea to discuss it carefully with Dr. Brogdon first. If you are in generally good health this treatment may be an option for you. Posted on October 22, 2013 Categories Bleaching, Cavities, Cosmetic Dentistry, Dental Care, Dental Health, Implants, Tooth Enamel, Tooth Whitening, VeneersTags dental bridge, Dental Implants, Dentist, missing teeth, replacement teeth, tooth implantLeave a comment on What about Dental Implants? How many times have you heard, “Smile”, especially when someone is taking your picture? With weddings, family reunions, birthday dinners and so many other occasions, people are taking out the camera, iphone or other devices and taking (and many times posting on the internet) your picture and your smile. With this in mind, don’t you want to put your best smile forward? If a bright, white, smile with beautiful teeth is what you are looking for, give us a call at Brogdon Dental. We can help take the panic away when you hear the word “Smile” and make it the pleasant experience it should be. Posted on July 29, 2013 July 29, 2013 Categories Cosmetic Dentistry, Crowns, Dental Care, Dentist, Six Month Smiles, Tooth Whitening, Uncategorized, VeneersTags smiles, teeth whitening, wedding picturesLeave a comment on Smile! Do you think you are a candidate for veneers? You might want veneers if you have discolored teeth, teeth that are worn down, chipped or broken, misaligned, uneven, or irregularly shaped teeth, or teeth with gaps between them. Getting veneers usually requires around 3 trips to your dentist. One for a consultation and two to make and apply the veneers. Veneers generally last between 5 and 10 years. After that time, most veneers need to be replaced and there is no special care involved with your veneers, just continue to follow good oral hygiene practices, including brushing and flossing as you normally would. What are some of the advantages of veneers? Veneers offer a conservative approach to changing a tooth’s color and shape; veneers generally don’t require the extensive shaping prior to the procedure that crowns do, yet offer a stronger, more aesthetic alternative. If you feel you might be interested in veneers, give us a call at Brogdon Dental. Dr. Brogdon can discuss the pros and cons associated with veneers and you can decide if this procedure is for you.